JEREMY CLARKSON HAS effectively been sacked as presenter of Top Gear. 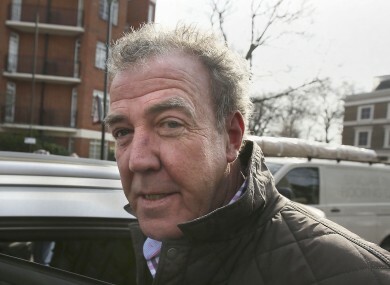 Clarkson’s contract will not be renewed by the BBC after he had been suspended by the corporation for two weeks after allegedly punching a producer. Today, BBC Director-General Tony Hall said that he did not make the decision lightly. The report says that the crew had travelled to Yorkshire for a shoot and “the physical attack lasted around 30 seconds and was halted by the intervention of a witness”. The BBC will now look to renew Top Gear for 2016, he said. Email “Jeremy Clarkson has been dropped by BBC”. Feedback on “Jeremy Clarkson has been dropped by BBC”.